When Cooper is assigned the task to help at the local, children’s deaf school, Kiera not only brightens up his day, she helps to rebuild his confidence. Will their journey be plain sailing, or does devastation lie in wake? Another fabulous, romantic suspense, by Susan Stoker. There is just something that you simply cannot resist about Susan’s SEAL men. They all have their own little quirks and charms to them, that are hard to resist. Cooper is brave, loyal, strong, caring, and simply wonderful. He is amazing with children, helping them to combat their fears and bring out the best in themselves, whilst along the way he helps to rebuild himself and his future. Kiera is sweet, clever, caring and optimistic. She has a beautiful outlook on her students and life. She has an inspiring way with deaf children and adults. Together Cooper and Kiera are perfect. They build each other up and give each other support. They are so adorable together, you simply want to squeeze them in delight. 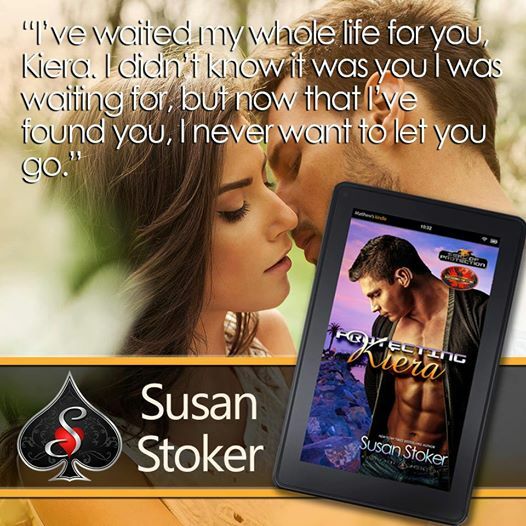 I loved this novella from Susan Stoker, it’s the perfect companion to the SEAL of protection series and can easily be read as a standalone. If you enjoy military romances, with a little added humour, drama and suspense, Protecting Kiera is for you. This book is published through Kindle Worlds and includes characters from Elle James’ world.